New Mobility has a story about my background and career as a scholar particularly as it relates to the lack of wheelchair access at academic conferences. Here is the link: http://www.newmobility.com/2014/09/william-peace/ Mark Boatman did a good job writing this story up. 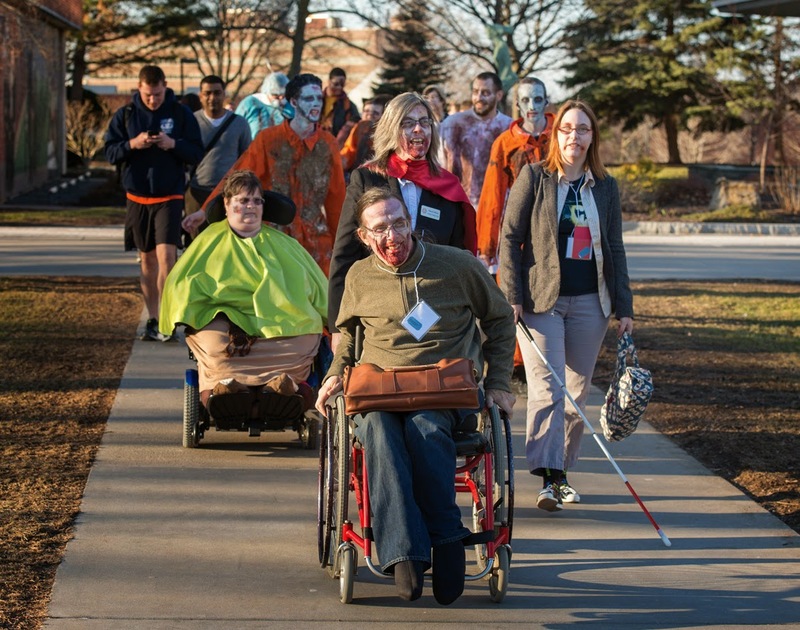 The best part of the article was a great photograph of me leading a zombie roll/walk at Syracuse University last April for a conference "Cripping the Con". I gave the keynote talk about the Walking Dead and Assisted Suicide. I had great fun that day and it was without question the met accessible academic conference I ever had the pleasure to attend and participate in.